This family fun food tour is perfect for all ages. Meet your spooky guide 5-10 minutes early in Boston's North End for this 6pm walking pizza tour. The tour starts at the intersection of Hanover Street & Cross Street, near the Tony DeMarco boxer statue. From here, you'll explore Boston's oldest neighborhood which first settled in 1630. Along the way, feast on three different slices from some of the city's very best pizzerias. Explore a spooky side of Boston as you descend into the crypts below Boston's oldest standing church, where more than 1,100 bodies are rumored to be entombed. Taste a pizza slice named "One of the 500 things you MUST eat before you die"! 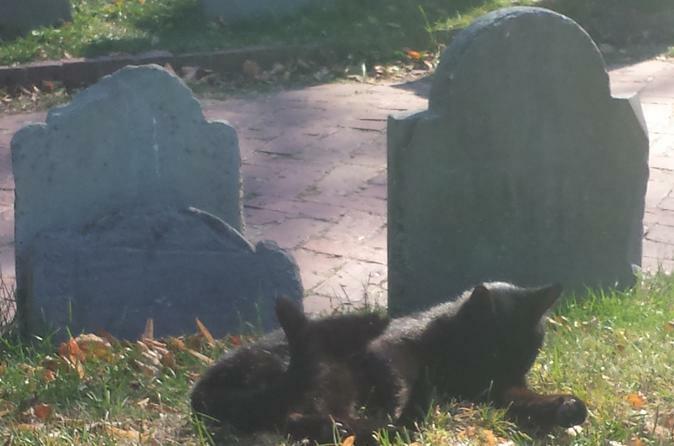 Learn about the Salem Witch Trial connection at Copp's Hill, Boston's 2nd oldest burying ground. Enjoy a slice from the city's oldest pizzeria, with a brick oven dating back to 1883. Hear of ghostly apparitions at the Paul Revere House (c1680), plus stories about Boston's Murder District.